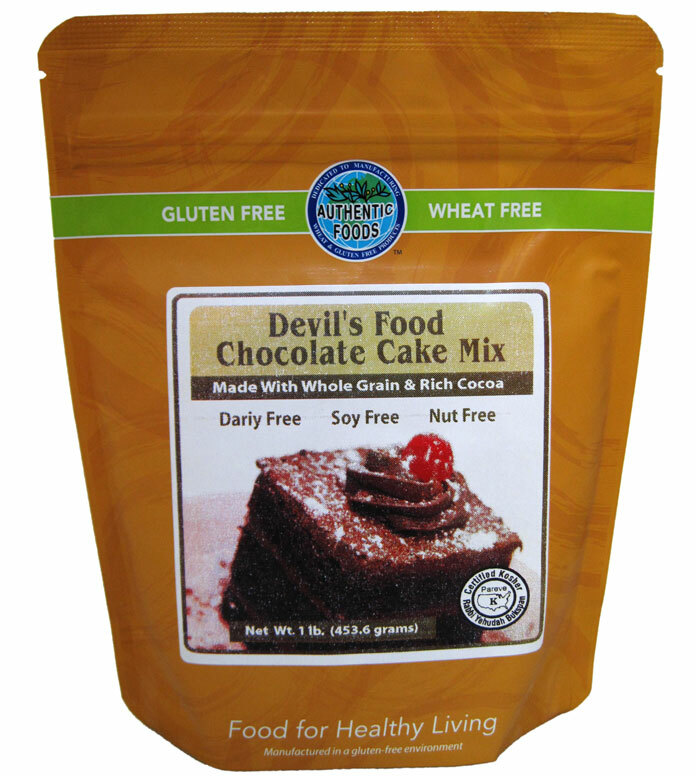 The cake made from the Authentic Foods Devil’s Food Chocolate Cake Mix is the cake you have always been looking for. It is like no other gluten free chocolate cake you’ve ever found. This cake has absolutely no grittiness! It is moist and has a rich cocoa flavor that will make any chocolate lover feel as if they are in food heaven! You will find that even those who do eat foods with gluten will be asking for more! Making a Devil’s Food Chocolate Cake is as easy as ever! Just add eggs, oil and warm water and bake! There’s nothing else to it! 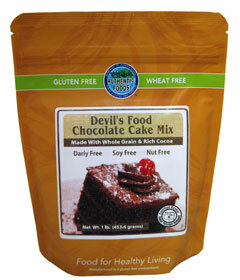 In no time, you’ll be eating the best tasting Devil’s Food Chocolate Cake you’ve ever had! This mix makes one large 9 inch layer cake or two smaller 9 inch layer cakes. Preheat oven to 325 degrees Fahrenheit. Grease a 9 inch round cake pan. In a medium bowl, blend eggs, oil and warm water until foamy. Add Authentic Foods Devils Food Chocolate Cake mix and mix until batter is smooth. Pour the batter in the cake pan and bake approximately 35 to 40 minutes. The cake is usually done when the top of the cake is firm or when a toothpick poked into the center of the cake comes out clean. When the cake is done, let the cake cool in the pan for five minutes. Then remove the cake and place it on a rack to finish cooling. The cake is ready for frosting when it is completely cool. If the cake is frosted before the cake is cool, the frosting may melt.